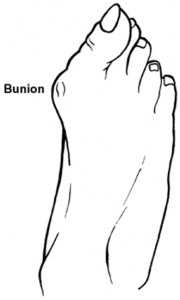 When your big toe is angled towards the second toe, the deformity is called a bunion (hallux valgus). This causes a bump on the side at the base of the big toe. There can also be thickening of the skin and tissues of the joint which can be become inflamed, swollen and painful. Due to this deformity the bones of the big toe are pushed towards the smaller toes and can displace them and can cause hammer (bent into an inverted “V” position) toes. What are symptoms of hammer toes? 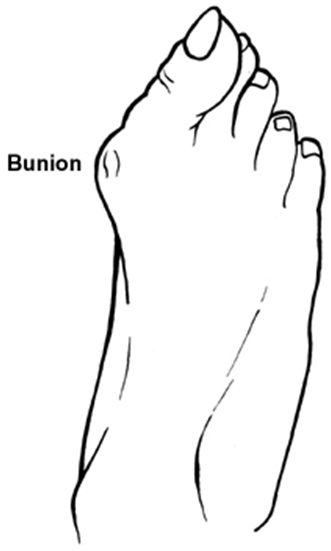 The toe joint swelling and becoming red and inflamed. Footwear advice, trainers or slippers that fit well and are roomy and to avoid tight high heeled shoes.